This website is designed for the instructors in higher education who are interested in how to utilise Social Media for Education. We will provide you with guidelines on how to use social media, tailored to your instructional setting, based on educational and pedagogical theorem. What are your teaching goals? What content do you intend to use? What instructional methods do you plan to use? How will the students’ work be assessed? 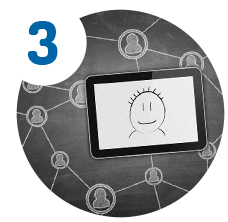 Based on the answers in Step 1, we will work out which social media types will best suit your instructional setting. To help us do this, we will use an algorithm based on pedagogical principles and instructional design theory. 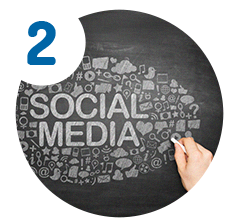 In this step we will provide guidelines about how you can apply the social media types identified in Step 2 to your particular instructional setting. To improve this product, we would kindly ask you to provide us with feedback at the end of the process. Social Media for Education is the outcome of a workpackage of an EU FP7 Era.Net RUS (Russia) project called Somecat (Social Media as a Catalyser for Cross National Learning). Somecat is a joint project between the Centre for Innovative Teaching and Learning, at the School of Management and Law, of Zurich University of Applied Sciences (Switzerland) (Coordinator); the Political Science Department of Perm State University (Russia); the Department of Informatics at Ankara University (Turkey) and the Nexus Institute for Cooperation Management and Interdisciplinary Research (Germany). If you have any questions regarding "Social Media for Education", or if you undertake research in similar areas, or perhaps you are wondering if this offer could also be implemented in your language, or have any other questions, please do not hesitate to contact us. Not sure which type of social media is right for your class? No problem, just answer four quick questions about the way you teach and what you want your students to learn. Based on your answers, we can tell you which of the six types of social media is the best for your classroom. If you are not sure about how to use the different social platforms, follow our tutorials! So you are willing to use social media as a support to your educational processes. Located in the Greater Zurich Area of Switzerland. ZHAW has eight faculties and around 11.000 students, ZHAW is one of the biggest polytechnics in Switzerland. As the oldest university in the Republic of Turkey, Ankara University is a large and diverse city university, providing numerous programmes through 15 faculties, 2 vocational schools, 9 colleges and a state conservatory – and has more than 60,000 students. Perm State University was founded in 1916 and now has the status of a National Research University. The university has 12 faculties, 83 departments and 11,000 students, and is one of the leading universities in Russia. The Nexus Institute is an independent think-tank for interdisciplinary comparative research, focusing on the field of participation, co-operation, demography, security, privacy and on identity and its management. 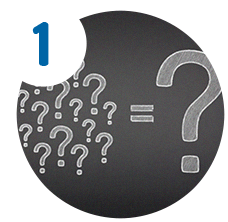 We asked 4 questions in order to analyse your teaching process. Would you like to be asked more questions? If yes, what should be the scope of these questions? According to your preferences, we suggested types of social media types appropriate to you, and then provided you with some instructional tips. In what ways do you think that these tips will be useful when designing your course? Do you think that there are any other issues or aspects we should consider within the toolkit? What further information would you like to see (e.g scenarios, best practices)? What is your opinion about the toolkit in general? Please state any suggestions you may have. What is your opinion about the usability of the toolkit (design, flow, navigation etc.)? Are there any additional comments that you’d like to mention? If you want to receive updates and the research results, please enter your email address (please note that your e-mail address will only be used in our research). Unfortunately, there was an error receiving your feedback. Please try again or contact support, thank you.